I searched for this, but couldn't find it anywhere. Would it be an idea to add the option of showing habitale zones around stars or similar? Furthermore, as searched for too: is "strange" orbits not an option? Like Cruithne and others? And finally, galaxies affecting each other gravitational? Yeah, there's a feature like that in Universe Sandbox, but I think the idea more so came from all the space documentaries I have watched. Also, how about some statistics to look at? Don't know if this is already implemented or suggested, but like number of Earth like planets visited, miles travelled (in free roam, space ship etc) and so on. Actually this would not be very useful for SpaceEngine since SE accounts for large greenhouse effects and other properties that make a conventional HZ estimation worthless (if a planet had a Venus-like greenhouse it would be habitable even outside the "optimistic" range shown above). And if a world had little to no greenhouse and had clouds that reflected most sunlight, then it could be habitable even at or inside the orbit of Venus. This does not even include the subsurface oceans of moons of gas giants and other such worlds, which fall completely outside the normal HZ and yet could still support life. The habitable zone is really not as useful as it seems to be at first. Let's alter the suggestion a bit and say, how about some temperature option in some way? I'm just shooting blanks here to open a discussion or improve SE. I.e. a changing spectre of colours that show some sort of temperature level? Can't really think of how to implement it. I don't know if it could come in handy in some way. Also, seems to have been lost a bit - galaxies gravitional pull on each other? Or even their own spin? Terraforming Europa would be nearly impossible. It is too far from the sun for any greenhouse effect an Earth-pressure atmosphere could have to warm it enough, and it has no magnetic field and so is bombarded with high energy radiation from Jupiter's radiation belts. The only world in the Solar system that could be realistically terraformed on the surface is Mars. 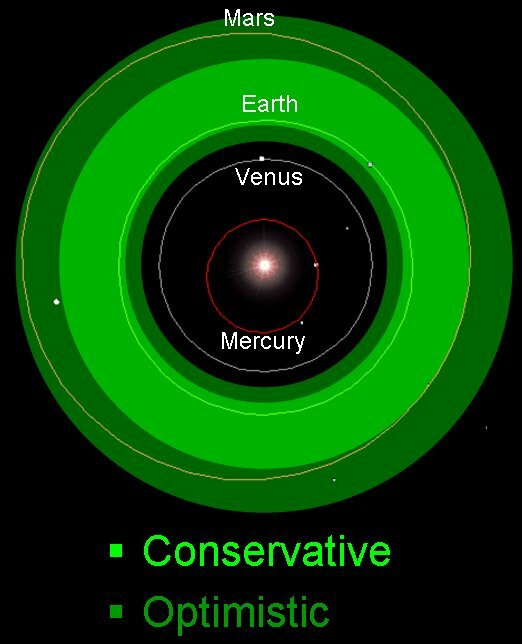 The only other possibility is Venus, but you would have to change the pressure and composition of the atmosphere by a very large amount, and you would have to change its rotation speed, both of which would be exceptionally difficult, and impossible with current or near future capabilities. Cael, many of these points have been raised before. There is a to-do list here that shows many of the things that SpaceEngineer plans for the future. Apologies! I searched for different words that I could come up with for these things, but didn't really hit anything. Yeah, terraforming Europa would be very hard; also because it would be more like oceaniaforming. The way I see it, without helioforming Jupiter like in 2010 (which would be incredibly hard and require technology that fully falls under Clarke's third law), the only way to do it would be building giant mirrors in its L1, L2, L4, and L5 points that reflect Sunlight to Europa. But you'd need gigantic mirrors; Jupiter is 5 times as far away from the Sun as Earth, so Europa gets only 1/25th as much radiation per square metre (not counting the time when it's in Jupiter's giant shadow); so you'd need to increase that amount by at least 20 times to oceaniaform it; so that would probably require these four mirrors to each have five times Europa's surafce as seen from the Sun. And then, indeed, there's the problem of Jupiter's radiation frying anything. And then, indeed, there's the problem of Jupiter's radiation frying anything. So all you gotta do at that point is get to work on generating a magnetic field that covers the whole moon. It'd take even more than that, since Europa has a much higher albedo than Earth, it would need more sunlight to take in the same amount of heat, at least at first. There is also the problem of atmosphere: if Europa was made to be as warm as Earth, then it would not be able to retain an atmosphere on account of its low gravity; small worlds like Europa can only retain a thick atmosphere if they're very cold. The atmosphere leaking away is a problem on geological timescales, though, not on a human timescale. It'd take hundreds of thousands of years for the effect to be dangerous, so I could see terraforming happening if humans somehow found a way to do it, as hundreds of generations could live on it. And yeah, helioforming Jupiter would pretty much require magic, either adding a load of Sun masses to it or compressing it to almost white dwarf like densities. So that's not an option, at least not until we are well on our way to being a class III Kardeshev civilisation... At which point it would be rather pointless, as you said. For larger worlds like Mars, yes. For small worlds like Europa, the atmosphere would be depleted in a much shorter period of time, and the primary mechanism of mass loss would be different. In any case, what good would the atmosphere be if you have to live in habitats anyway because of the lack of land? Or what good would an ocean be for that matter?